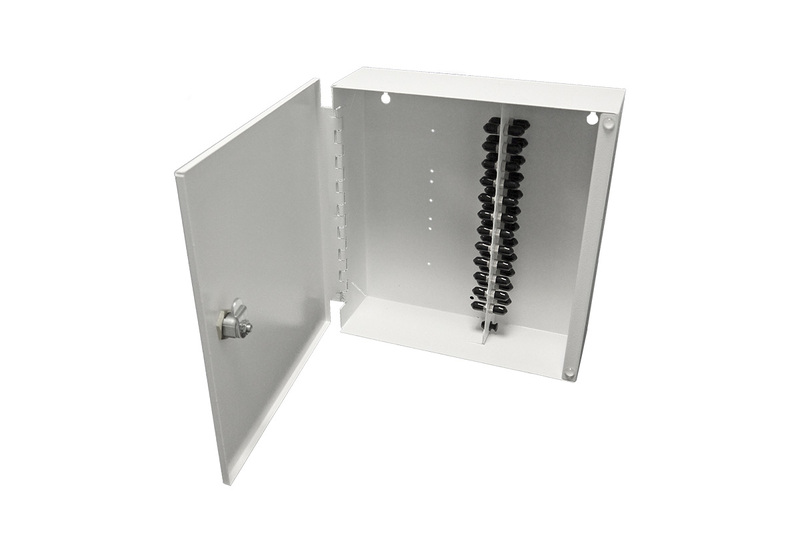 The OPTiFab metal single-door lockable wall box features an adapter-ready internal bracket and splice tray option. 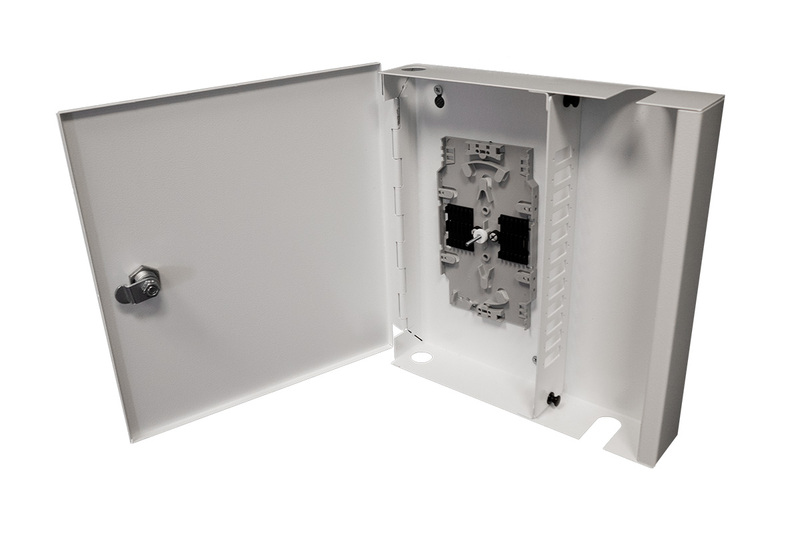 Adapters, splice trays and pigtails can be installed upon request. The facade is constructed from cold-rolled steel with a highly durable electrostatic powder coating.